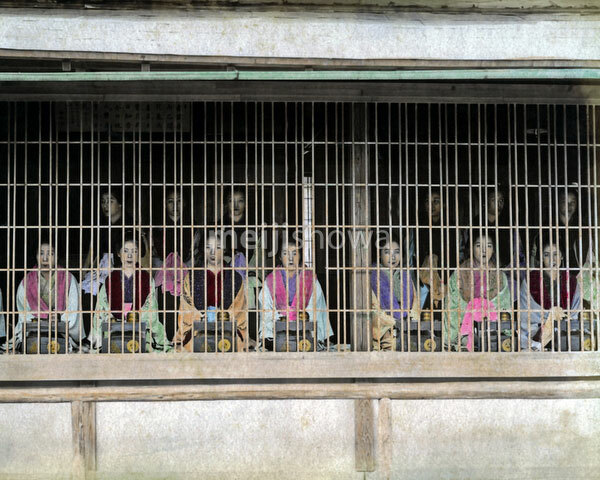 Prostitutes behind harimise (張見世, a latticed show window) at a brothel. Prostitutes from less expensive brothels were seated, without moving or speaking, behind wooden latticed windows. This kind of display was prohibited after 1916 (Taishi 5).